Did you know that the U.S. Department of Agriculture has paid over $34 million to grow soybeans in Afghanistan since 2009? The Special Inspector General for Afghanistan Reconstruction (SIGAR) just delivered a report of their review of the program, finding evidence that the entire initiative is a multi-million dollar waste of time, money, and resources. In FY 2010, USDA signed a Food for Progress agreement with the American Soybean Association that would support the Soybeans in Agriculture Renewal of Afghanistan Initiative (SARAI). USDA modified the agreement in 2010 and twice in 2012 to approve adjustments in the commodity sales process, the donation of commodities, and activity descriptions and targets. USDA provided a total of $34.4 million of commodities, associated transportation, and administrative funds through this agreement. 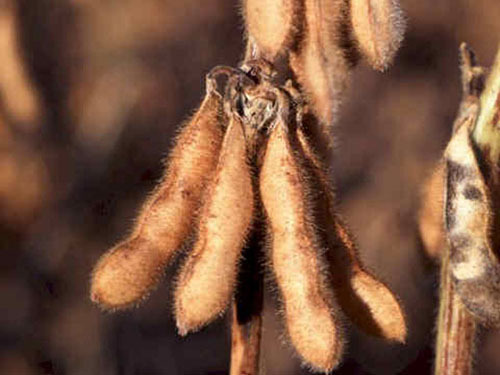 The USDA confirmed that soybean production in Afghanistan has not met expectations and that there are doubts concerning the long-term sustainability of a soybean processing factory built as part of the project. The project’s implementer, the American Soybean Association, did not conduct feasibility or value-chain studies prior to initiation of the project in 2010. Scientific research conducted for the UK Department for International Development between 2005 and 2008 concluded that soybeans were inappropriate for conditions and farming practices in northern Afghanistan, where the program was implemented. Despite the lack of prior planning and analysis, and despite evidence that may have put the success of the program in doubt, USDA provided $34.4 million in commodities, transportation, and administrative funds to ASA for SARAI. So, to recap, nobody in a position of responsibility with respect to this program at the U.S. Department of Agriculture ever bothered to do any kind of analysis or investigation to determine if the program could even be successful, because if they had, they would have learned that the whole effort would be a monumental waste of time because northern Afghanistan, where the crops would be attempted to be grown, is not fertile enough to grow soybeans and yield meaningful harvests using the farming methods used in that part of the world. Put a little differently, because the U.S. federal government spends far more money than it has in revenues, it had to borrow money in order to be able to ship U.S. soybean seeds halfway across the world to be planted in fields where they would not yield significant crops to sustain the soybean processing facility that the ASA and USDA established in that country. The only way the U.S. Department of Agriculture could have wasted so much time, effort, and money more efficiently would have been to cut out the ASA lobbying group from its role as middle man and primary beneficiary of the program, and plant the equivalent number of dollar bills directly in the soil of northern Afghanistan. Which, if you think about it, would have produced exactly the same benefit.